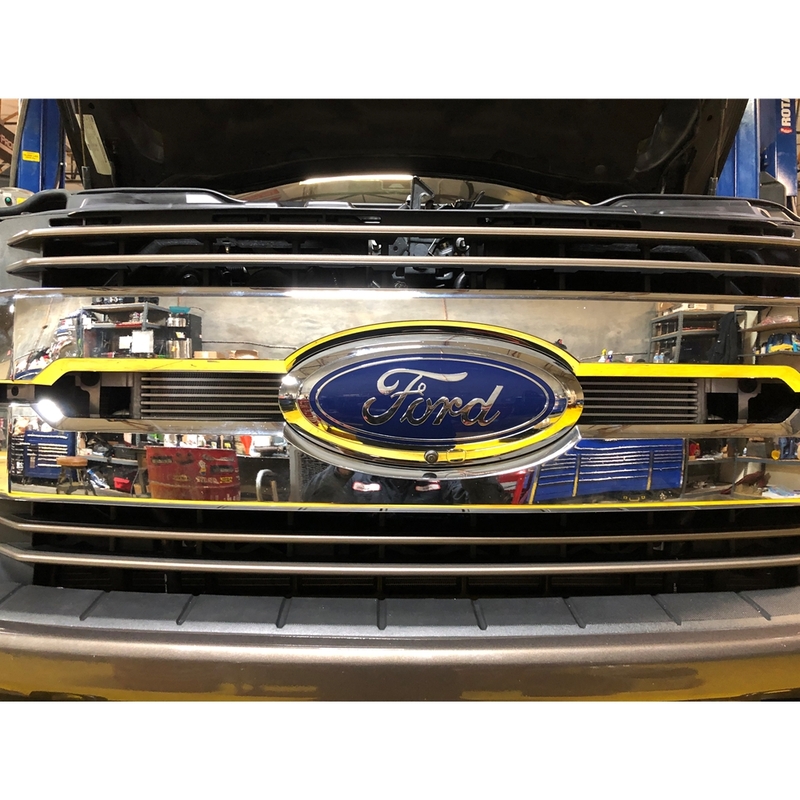 PowerStrokeNation : Ford Powerstroke Diesel Forum > Vendors > Strictly Diesel > 2017-2019 6.7L Ford Transmission Cooler Kits! We've tested the crap out of this setup and finally got it released. Massive temperature drops and control. 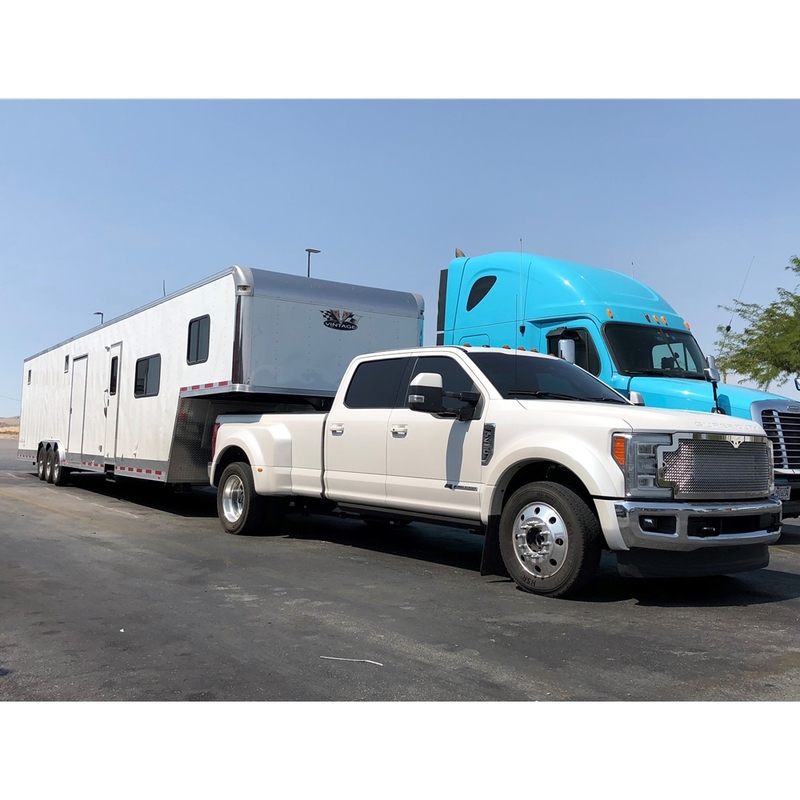 I was a complete ahole to my personal 2017 F450 with my 18k# 48' race trailer, fully loaded, in the Arizona desert in the middle of August. 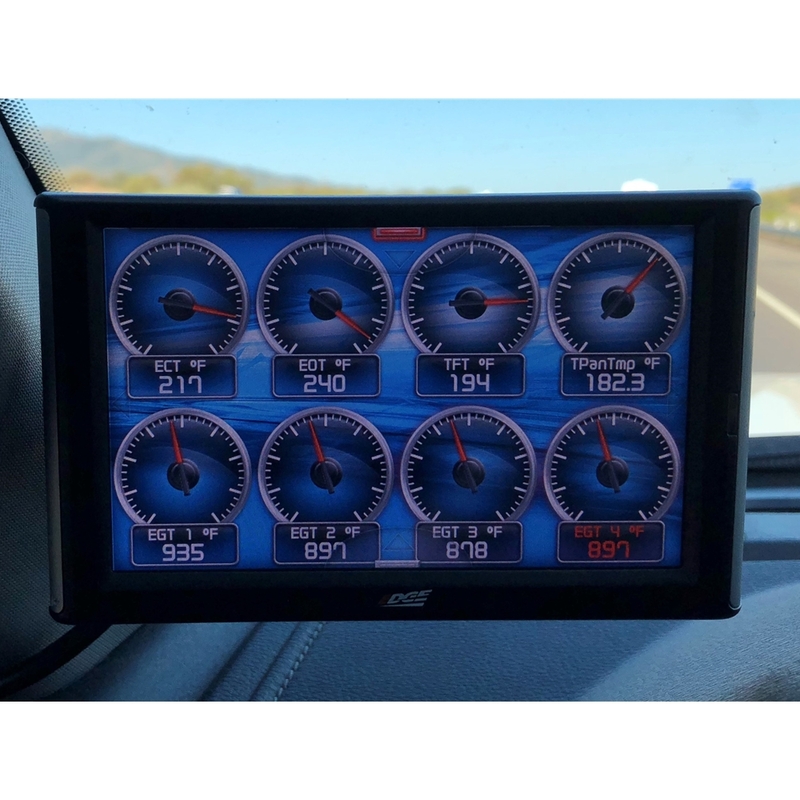 Pulling hills under heavy throttle, during a regen (all 4 egt sensors around 900°F)...EOT was at 240°F+, ECT at 217°F and the trans was a happy 194°F. The hottest I was able to get the trans, trashing on it hard, was 220°F (EOT was well over 250°F and ECT was over 230°F if I remember right, couldn't get a picture)...and when I laid off and just drove the truck normally, it was back down below 200°F within a few miles. If you own one of these trucks, you've probably also noticed that the faster you go (even unloaded), the hotter the trans gets. My F450 (4.30 gears and short tires) on the highway at 80mph (2500ish rpm if I remember right) would see trans temps in excess of 220°F UNLOADED before this cooler went in. Simply put, this thing WORKS! Note: We tested with the OEM grille and the mesh grille shown here. The additional airflow from the aftermarket mesh grille showed about a 5°F improvement. The numbers above are with the mesh grille. If you want the maximum amount of temperature drop, consider a grille upgrade as well. If you retain the OEM grille, you will still see a very significant temperature drop as our install kit places it right behind the largest openings. Re: 2017-2019 6.7L Ford Transmission Cooler Kits! We have kits for 11-16 trucks in the works as well, hoping to have those shipping in the next 60 days.